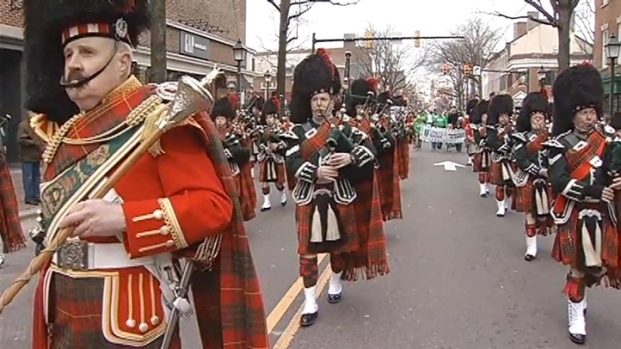 Pat Troy, an Alexandria businessman and founder of the city’s St. Patrick’s Day Parade, died Thursday at the age of 76. He died days after serving as grand marshal of the parade with his wife of 52 years, Bernadette. A celebration of life will be held in Alexandria, according to his obituary, and he will be buried at Basilica of St. Mary’s, where he worshipped for decades. Troy was born in Kilcormac, Ireland but moved to the U.S. in 1961, his obituary says. He arrived with only $50 in his pocket and worked as a butler for several years, according to his Alexandria Living Legends biography. In the 1980s, Troy brought Irish culture and tradition to Alexandria by investing in two businesses, The Irish Walk import store and Pat Troy’s Ireland’s Own Restaurant and Pub. In 1982, he founded the Alexandria St. Patrick’s Day Parade. The pub was famous for both celebratory sing-alongs and a visit from sitting president Ronald Reagan, who addressed the crowded pub on St. Patrick’s Day in 1988. According to his obituary, meeting the president was the highlight of Troy’s life. He was honored as an Alexandria Living Legend and received an Irish Spirit Award from the Washington Nationals. He is survived by his wife, two children and two grandchildren, his obituary says.